So you are in the market for a new car. Maybe your old one broke down and you’ve had it with the pricey repairs. 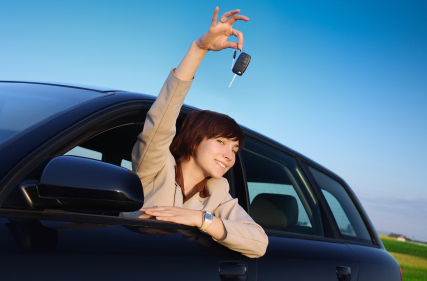 Maybe you’re buying your first car and need some guidance. Or maybe you have grown out of your old car because your needs have changed. No matter what your situation is, it’s difficult to choose which car will suit your needs. When I purchased my car, I had a list of things that I wanted in a vehicle, as well as the reasoning behind needing those features. I knew I wanted my car the last for a long time, because I don’t like adjusting to a new car or being broken down on the side of the road. I knew I wanted a reliable, fuel efficient car. I also thought I wanted a four door for ease. I hit most of the things on my list, but ended up getting a two door. But car shopping was exhausting, especially if you are looking with a deadline, like I was. Here are some tips and things to think about to make the decision a little easier. How long will you want to use it for? The first thing that you need to ask yourself, when making the decision as to what car you would like to purchase, is how long you want to have the vehicle for. This is important for several reasons. If you want to drive a car for 10 years or more, you are likely looking at reliability and not resale value. If you just want the car for 2-3 years before you trade it in for another, newer model, you’ll want a car that has a higher resale value. You need to look at the purpose of the car before making a decision on which one you’d like. Is the car going to be a commuter car? Maybe you have children that you need to drive back and forth to sports? If you want a commuter car, you will likely want to focus on a smaller, more fuel efficient car. If your commute is long, comfort is key. If you’re chauffeuring around children, you’ll need extra space for equipment, friends, and carpool potential. What is your current situation? Is it likely to change? Take a look at your current situation and how long you want to have your car. If I’m in my twenties and want to have my car for another 8 years, and want to have kids in 3 years, I really need to look at what the best car will be for both now, and later. Likely a smaller car but with four doors and lots of trunk space. This is a very important consideration so you don’t end up spending extra money due to lack of planning. This might seem obvious, but if all of your requirements in a car end up costing $40,000, and you have $10,000 to spend, you need to look at your desires and revise your wish list (or your budget). You don’t want to be car poor, so you need to be realistic. If you are commuting to and from work, does it need to be a sports car? Probably not. If you have two kids, do you need a deluxe mini van, or can you settle for a four door sedan? All of these considerations are important when you compare car insurance. Just like with houses, many people have high expectations from their future vehicles, but they can be unrealistic or unwarranted. Most people don’t spend more than a couple of hours per day in their vehicles, so luxury is not a necessity. With these things in mind, car shopping should be a lot easier. We’ve recently got a new car and it is wonderful to drive, very economical and just big enough for our (now) small family. Buying a car, especially a minivan, with long term goals in mind is a great point (even if you’re not think in terms of family).